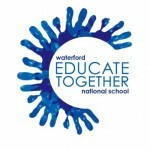 Our Ethos | Waterford Educate Together N.S. The ethos of our school is its spirit, its character. At Waterford Educate Together National School, our spirit is one of respect, equality and inclusivity. Our ethos works within the realms of the policies and procedures set out by the Department of Education & Science, as well as the charter of our patron body, Educate Together. All of our teachers are trained to the professional standards stipulated by the Department of Education & Science; we follow the national curriculum for all primary schools and we operate our board of management within the rules and regulations of the DES.